When retail was offline, once a month or quarter purchasing worked. Customers would walk into the stores and buy whatever is available. eCommerce is exactly the opposite in nature. Customers come to your site expecting a certain item to be available. If they don’t find it, It’s not only the loss of business for you, it’s a reputation that the customer carries about your brand. Managing purchasing has become extremely critical now. Without an efficient process in place, you cannot grow your brand. Amazon has now set a benchmark for companies to manage their supply chain with utmost priority. While the excess stock is going to kill your working capital account, out of stock upsets the customer like none other. The main challenge with eCommerce business is the necessity of having the right products available at the right time and in the right quantity. Portals like Amazon favor brands or sellers who have inventory available whenever a customer wants to buy. Like I said above, otherwise, it leaves a bad taste in the mouth for the customer. Hence its very important for eCommerce managers to keep track of products with fast sell-through rate. Obviously equally important is to track products that don’t sell well and end up being dead stock. Without any detailed reporting of fast-moving products, you will always end up ordering at whim. Tip: Consider using an inventory system that auto-suggests how and when to place orders with vendors. It must take into account previous sell-through rate and be able to predict ahead. eCommerce is all about consistently delivering quality items within the given timeframe. A happy customer is a customer for life. Hence if you go out of stock for a few products on Amazon and don’t replenish in time, it will hamper your seller account rating adversely. 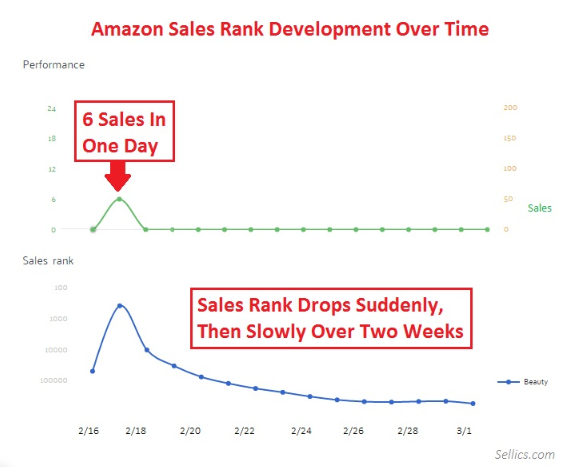 Not having an idea about when to order particular product results in losing your ranking on marketplace platforms like Amazon, eBay, Flipkart etc. Very simply Amazon pushes such sellers down in the ranking algorithm. Tip: Look out for a PO system which can notify you on reaching reorder point of a particular product. Additionally, the system should be able to calculate the time taken for the delivery to reach your warehouse and factor that in the algorithm. FBA provides limited storage for brands and having stocked it up with slow-moving products will result in less space for fast-moving products. That might result in a stock out-situation for your must-have products. Again it will adversely affect your overall business. On top of that Amazon storage fees are usually very high as they only store items that move. Tip: You may consider having a secondary storage warehouse beside FBA. That way you keep the FBA location available for whatever stock is selling fast. Secondary locations are usually cheaper, hence end up saving quite a bit on the storage costs levied by FBA. There are circumstances due to which the delivery might be delayed. This can be either due to national holidays/adverse weather conditions/human error. Tracking that is important and accordingly must take actions to manage inventory at the warehouse. Tip: Consider using a system which can help you keep a track of your delivery partners or reach out to delivery services to check the issue and keep customers updated with the updates. Dealing with perishable products is tricky for any business from an inventory management perspective. These short-lived items require express delivery. For example, food items, medication, cosmetics or anything else that has a short expiration date, requires special consideration while ordering inventory and shipping to customers. You must keep track of the expiry date and use FEFO (first expiry first out) method to ship out. Any items that are about to expire can be put on special sale. Lastly must have a liquidation strategy in place for items that are at the end of their shelf life. Tip: There are expiry date trackers wherein you can be notified of the products reaching their shelf life. Consider updating it in the tracker along with the product while inwarding. If you are importing goods from China / India or any other country, you must have a view of what stock is lying with the freight forwarder. Otherwise, you end up ordering more. That stock must be tracked and handled on a need basis. Freight forward might be able to also do inspection and QC on your behalf. Hence very important to have detailed inventory management there. Managing all these and coordinating with various stakeholders is a challenging task and calls for a system that can aid in the process. In this article, I am going to talk about EasyEcom solution for inventory holders, Manufacturers, wholesalers to manage their stocks/PO/GRN’s/Reconciliation. Generating Barcode for products is one of the primary things which brands do in-order to track their inventory. EasyEcom helps you in generating barcode and barcode labels, and also stores all the necessary information. This usually helps the product to have a unique identity. Inventory serialization helps keep track of individual units using unique serial numbers. Expensive items such as jewelry, mobile phones, laptops etc need more detailed tracking to ensure no inventory shrink. It is mainly a system generated unique serial number assigned to each item during the inwarding process. EasyEcom platform supports this feature in its enterprise edition. 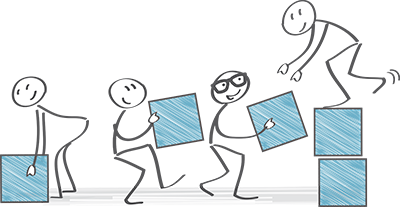 Create, manage and track your vendor list from a single platform. With the help of EasyEcom PO system, handle multiple vendors for the same item along with their pricing structure. This is to make sure you receive your products at the best possible price. 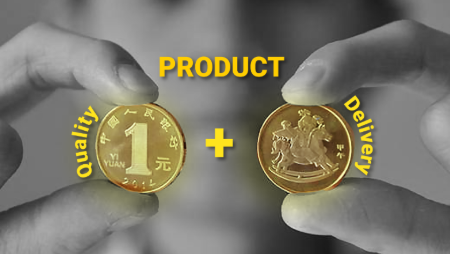 If you deal in more than one currency and purchase product from suppliers in other countries then, EasyEcom helps you create the purchase order for international suppliers in their currency. Most companies usually require a staging system to handle purchasing. Purchase plan is usually made by the warehouse team and the finance department approves it. Any system should be able to handle that. In EasyEcom, the approval process can be configured before submitting it to the vendor. After you create a PO successfully, you will be asked to approve the created PO wherein you can check if the right quantity of product is going to the right vendor. Quality Check at inwarding is like inspecting incoming products. For e.g. you ordered 100 quantities of a water bottle. While inwarding, you do the QC of these bottles where you verify if any of the bottles are damaged or has a missing cap (suppose 10). The data is then being captured by the EasyEcom system and later you deal with your vendor for damaged bottles. The vendor either refunds the amount of those 10 bottles or send you extra 10 quantities in your next order. The concept followed here is FEFO, that is the products with early expiration will be sold first. It is useful for food & pharma companies dealing with the products having a strict shelf life. So to stay stocked up with fresh products in your inventory, EasyEcom helps you keep a track of products nearing their expiry dates. By updating expiry dates during the inwarding process, the system allows you to apply FEFO on these products. 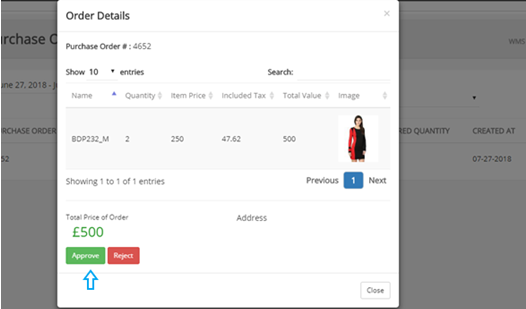 With not being aware of quantities to purchase for future sale, the inventory forecasting feature with EasyEcom will suggest you the quantities you should purchase based on your past sale. For e.g. The system will provide you with the suggested quantities to fill your inventory based on the previous monthly average daily sale or previous season sale. In addition to that, the time taken by the vendor for delivery will also be calculated and factored in. Tracking incoming shipments is equally important in the procurement process. As the products move out of vendors location, until it reaches the buyer, there are plenty of things that can go wrong. Especially when there is no contact or update provided on delivery, it can create complications for the sales team. 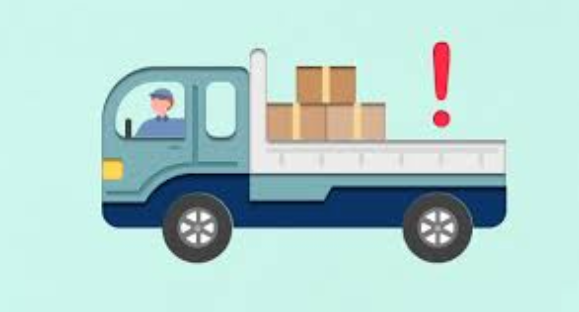 EasyEcom tracks the tracking number for the incoming shipment and provides options to update the status as the items move along. Receive system generated notifications on your personal device once a product reaches its reorder point and stay updated with your inventory in order to avoid losing on sales. Here, the sales teams will be made aware by the alerts based on the reorder points for the given SKUs. An automated system like EasyEcom can help you generate an error-free purchase order in a fraction of time. Evidence? Consider use case of an existing EasyEcom client who uses Purchase Order management to grow their sales. Luffy pets, being one of the best stores for providing best care foods and toys for our pets have started using EasyEcom to improve its perishable products sale. Shipments used to arrive at vendors location later than expected, which could either be due to national holidays or bad weather conditions. Because the vendors were not provided with any tracking number of courier services, Luffy Pets had to answer multiple calls if the package doesn’t get delivered on the expected date. Solution: EasyEcom provided an option to update AWB number with courier service details in Purchase Order approval form. With this, the Package can be tracked on a timely basis and can be coordinated accordingly through courier service directly. The company deals with perishable products on a daily basis. Fresh food, meat, chemicals, and pharmaceuticals are examples of perishable items that used to get spoil or become unusable after some finite time. They had issues with managing similar products with different expiry dates. Solution: EasyEcom helped them update the expiry of a product during inwarding process and apply FEFO process on these products at the time of shipments. This helped them save a lot of time and products from getting spoiled. With the upgrades in technology, let us now see how the Purchase orders were managed when there was no system to work with. How this process was manually taken care of. It is important for you to know that it is never late to get started with an efficient procurement process. If you feel like your business needs control of its expenses and improve its profit, then an automated cloud-based system like EasyEcom is a solution for you to keep an active eye on your business growth.